Have you heard?! 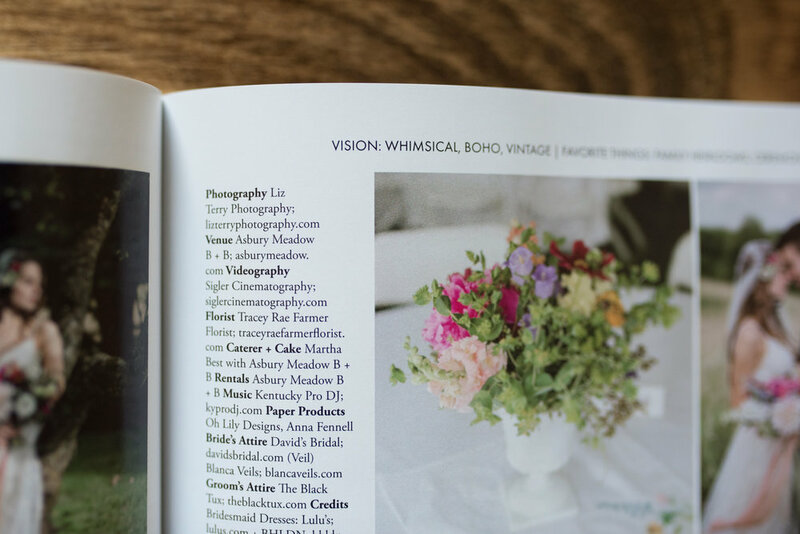 Liz Terry Photography was published in print for the first time this month and I’m SO excited about it! I picked up a magazine at Target with my work in it. WHAT? 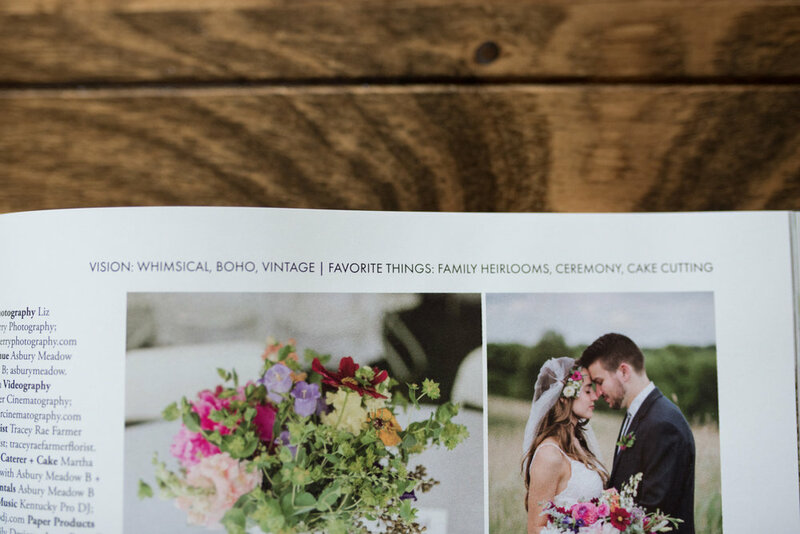 Kentucky Bride Magazine is my absolute favorite local magazine. 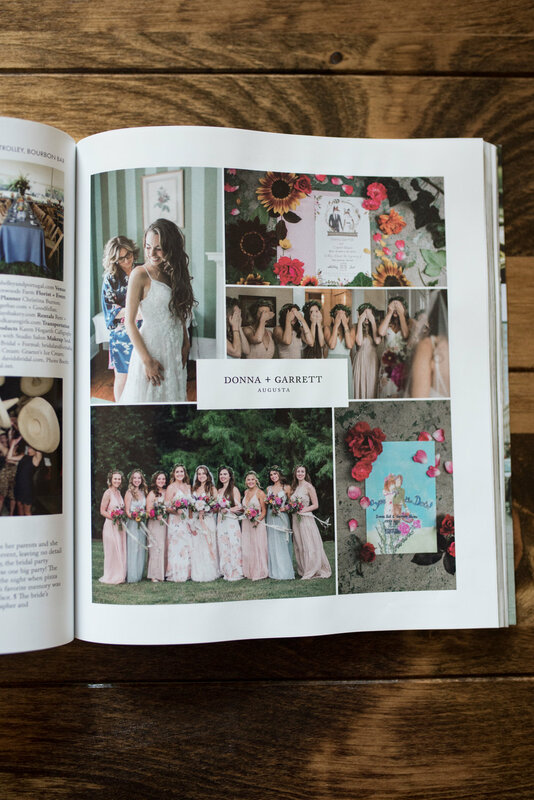 It is Kentucky’s only award winning bridal magazine and is distributed at Walmart, Target, Walgreens, Joseph-Beth Booksellers, Barnes & Noble, Kroger and the newsstands in the Lexington, Louisville, and Greater Cincinnati airports. I was able to meet Kate and Sandy, the mother/daughter duo and owners of Kentucky Bride, this year at the Intentional Workshop- a film focused workshop for wedding photographers. Knowing firsthand what sweet and passionate people are behind the magazine makes being published with them even more special! 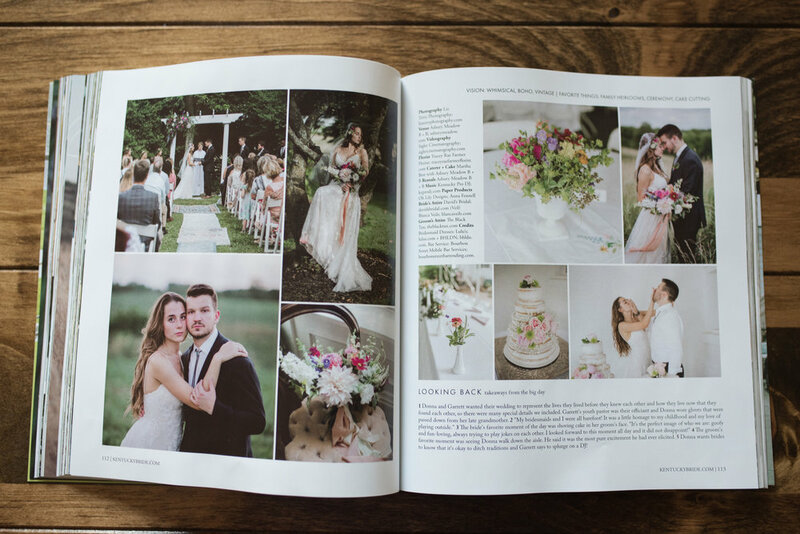 Check out my 4 page Styled Shoot feature and 3 page Real Wedding feature below. 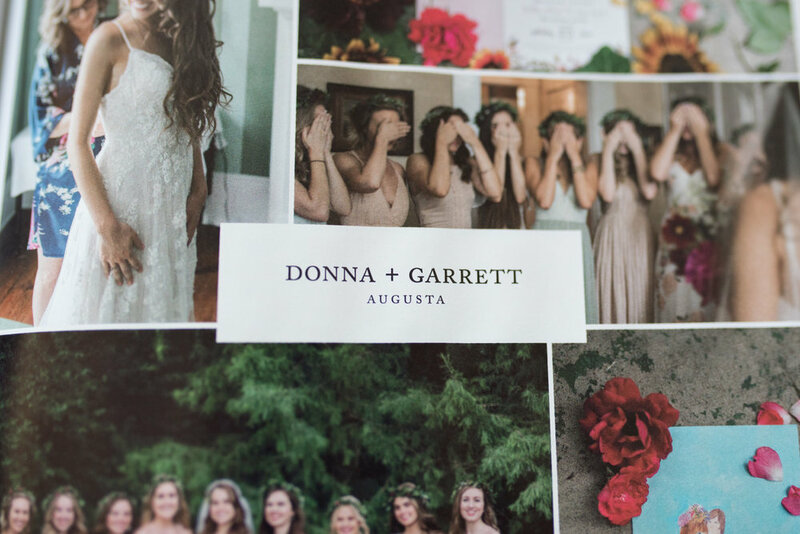 Be sure to pick up your own copy to get lots of beautiful inspiration for your own wedding!